Add it to the pasta or serve on a bruschetta or pizza. Also very tasty in combination with meat, fish or an omelet. The black truffle sauce can be eaten hot or cold. 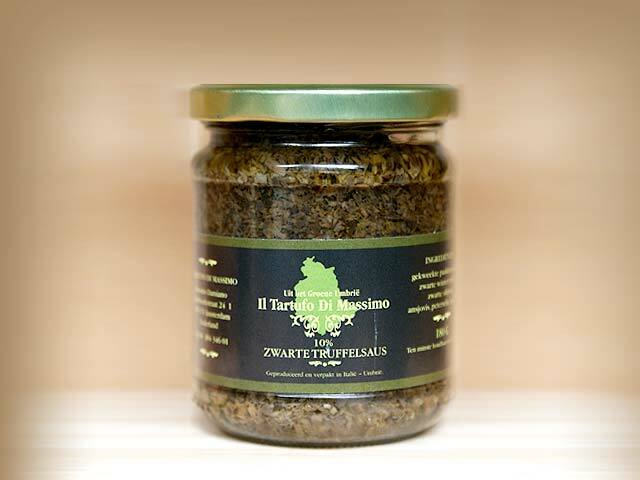 A 180 gram jar of truffle sauce is enough for 6 portions of pasta. The larger jar, 500 gram, is mostly used by the catering industry or for a diner with a larger group of people. Once opened the truffle sauce, cover it with a layer of olive oil extra vergin and keep it in the refrigerator for a week to 10 days.